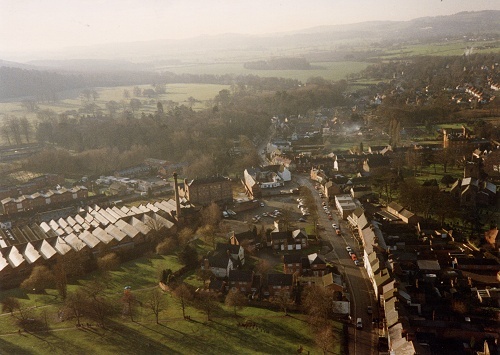 Taken c1994 on a winter day early in the evening, this view shows the Stafford Orchard and Wright's Mill. The tall mill chimney still stands and the mill still has its top floor (removed prior to later conversion to apartments). The Dower House can be seen lower-centre.